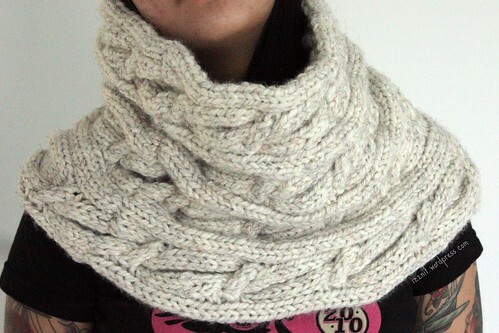 Or should I say “snood”? It’s dense and not as slinky as I wanted it to be but I still love it. If I do make this again I’ll keep the needle size the same but use thinner yarn. I did a few more repeats than the pattern called for but cast on the same number. I used thicker yarn (not sure what kind, frogged it from another project). Kinda bummed I got the seam in the pictures. Wish I had spotted it before I packed away everything. 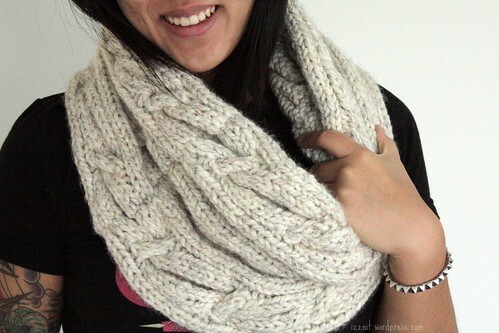 hi the snood is so lovely! 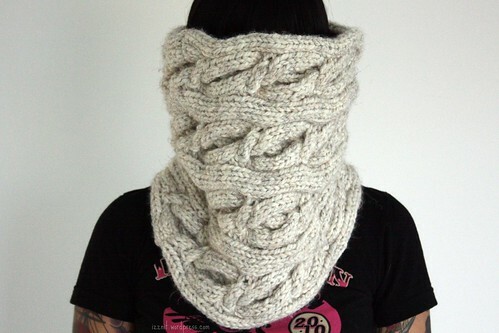 I’m wondering if you have the knitting pattern for this snood?